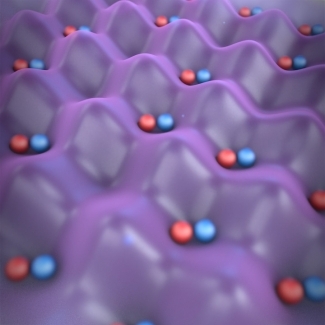 Researchers at JILA and around the world are starting a grand adventure of precisely controlling the internal and external quantum states of ultracold molecules after years of intense experimental and theoretical study. Such control of small molecules, which are the most complex quantum systems that can currently be completely understood from the principles of quantum mechanics, will allow researchers to probe the quantum interactions of individual molecules with other molecules, investigate what happens to molecules during collisions, and study how molecules behave in chemical reactions. Armed with such fundamental insights into the workings of molecules, researchers anticipate developing tools not only to control reaction chemistry, but also to design and manufacture advanced quantum materials. With these goals in mind, Fellows John Bohn, Ana Maria Rey, and Jun Ye collaborated on a review article discussing how progress over the last dozen or so years in cold-molecule research by a large scientific community has laid the groundwork for the exquisite control of molecules and their interaction processes. The article, entitled “Cold Molecules: Progress in Quantum Engineering of Chemistry and Quantum Matter,” appeared online in Science on September 8, 2017. “We can control the initial state of molecules and how they approach each other, monitor intermediate states, and analyze the end products,” explained Ye. “Being able to control these three steps in a state by state fashion gives you resolution limited only by quantum mechanics for the study of a molecular reaction process.” Ye said that it’s also possible to use ultracold (quantum) molecules to simulate quantum magnetism and study fundamental reaction processes in the quantum regime.